UPDATE: Online ticket sales have closed. Tickets are on sale at the door ($40/person. Cash Only)! The festival is put on by the Derby-Shelton Rotary Club through The Derby-Shelton Rotary Foundation (a 501c(3) non-profit) and all proceeds raised will go back to the Derby and Shelton Communities based on the needs of our charitable partners. Since 2013, we have raised close to $80,000, allowing us to help fund valuable programs. Such as, Sponsor A Kid Program at the Boys and Girls Club in Shelton, to fill the Valley United Way food bank, to support the Parent Child Research Center in Derby, to promote literacy programs in Derby and Shelton Public Schools, along with other worthwhile projects in the Valley. Your help and participation in this event is critical to its success. 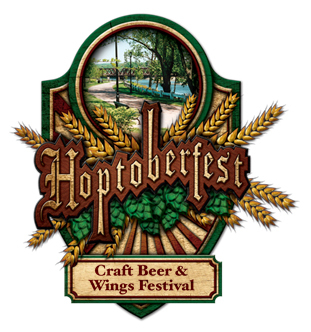 Participants can expect wings from different restaurants (including the Dew Drop Inn), over 80 craft beers to sample and live music. Entry will also include a commemorative tasting cup. Special Notes: Must be 21 or older to enter. Maximum ticket sales will be capped at 1,500 to ensure enough wings and beer for all. Please get your tickets early so you don't miss out!! Severe Weather Date: September 9th.